A delightful wooden tray with Spring Tete a Tete daffodils, a perfect gift suitable for all occasions. Presented in a &apos;Grande Jardiniere&apos; box this is a gift that is sure delight and it comes with a FREE box of Belgian chocolates. 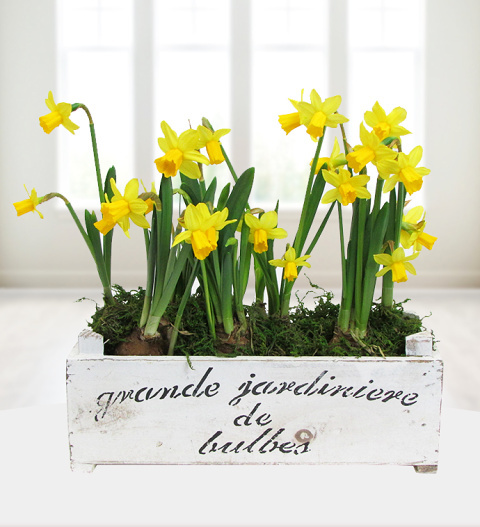 The Grande Daffodils are available for UK next day delivery. Chocolates may contain nuts.